For the first time since its inception in 1979, the Pritzker Architecture Prize, the industry’s highest honor, has been awarded to three architects. 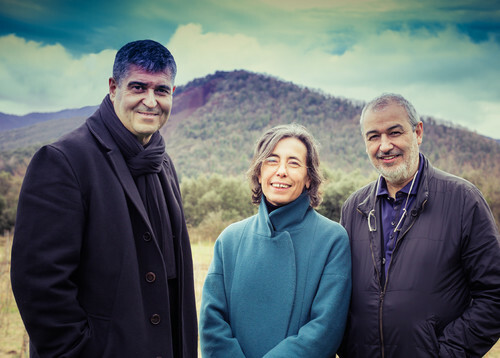 Spanish architects Rafael Aranda, Carme Pigem and Ramon Vilalta, pictured from left, got their start 30 years ago in Olot, a small town in the Catalonia region that’s a far cry from the flashier architecture scene in Barcelona, about 70 miles away. Pigem and Vilalta are married to each other. Many media outlets, including <em>The New York Times</em>, say the announcement signals what could be the end of starchitects, those big-name celebrity architects who have won the prize in past years, such as the late Zaha Hadid (2004) and Rem Koolhaas (2000). Pigem becomes the third woman to win the award, joining Hadid and Japan’s Kazuyo Sejima, who shared the award with partner Ryue Nishizawa in 2010. This marks the second year in a row that the prize has gone to Spanish-speaking architects. Last year, Chilean architect Alejandro Aravena was awarded the prize. As for their work, the colleagues focus heavily on using the landscape to drive their designs, which often feature recycled steel and plastic. 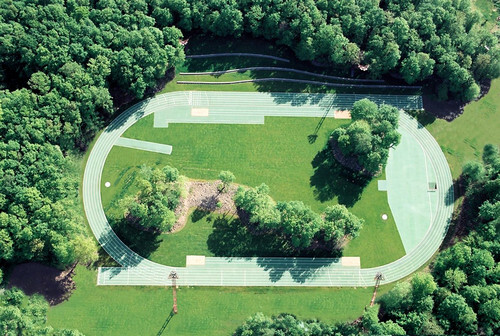 Their structures, most of which are in Spain and France, span a range of functions and include an open-air theater, a kindergarten, a senior citizens center and library, a museum, a winery, and an outdoor restaurant. “The siting of buildings, the choice of materials and the geometries used are always intended to highlight the natural conditions and pull them into the building,” the jury wrote. Aranda, Pigem and Vilalta designed the row house shown here to sit between two stone walls. The home features a single space with floating platforms that create different living levels, such as the dining and kitchen area shown here looking from the living room, with a bedroom above. The three architects completed their studies together in 1988 at the Vallès School of Architecture. 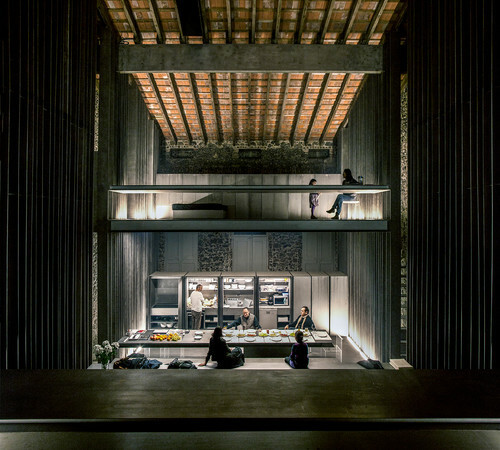 A year later, they founded their firm, RCR Arquitectes, using the initials of their first names. 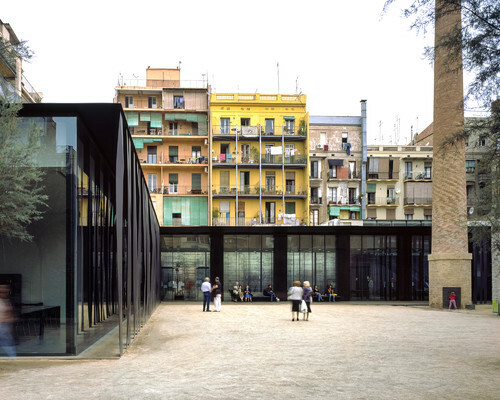 Here, the courtyard of a senior citizens center appears sunken into the surrounding city of Barcelona. 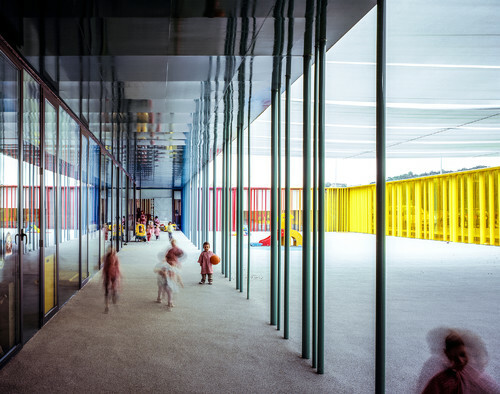 Here, children play on a porch area of El Petit Comte Kindergarten, built in 2010 in Besalu, Spain. Vertical tubes of different diameters create the multicolored exterior, which some have compared to colored pencils. The Soulages Museum, pictured, in Rodez, France, was built in 2014 in collaboration with G. Trégouët and houses works by abstract artist Pierre Soulages. Cor-Ten steel covers much of the building, which consists of several cubes that merge with the surrounding landscape. 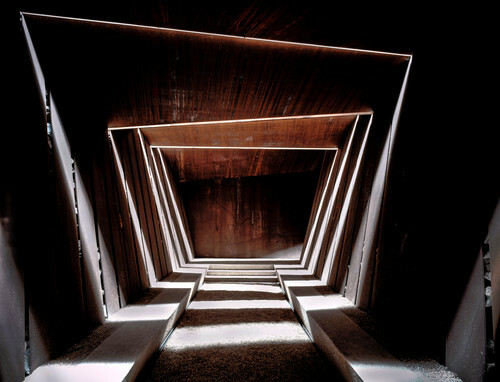 At the Bell-Lloc Winery, built in 2007 in Palamos, Spain, the architects created this interior walkway leading to a tasting room. Slats allow air, light and rain to flow into the space and to create shifting shadows as the day progresses. 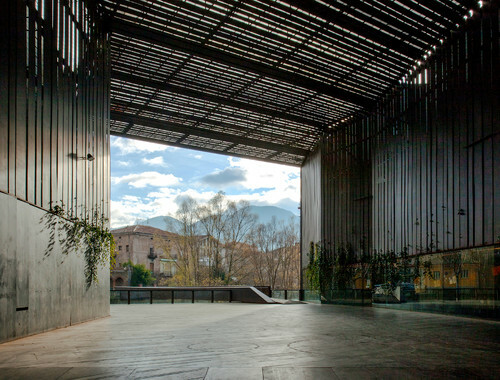 Here, La Lira Theater Public Open Space (2011), in Ripoll, Spain, opens to the bank of the Ter River, which can be crossed using a weathering steel footbridge. The material was predominantly used to form much of the structure. The architects collaborated with J. Puigcorbe for this project.